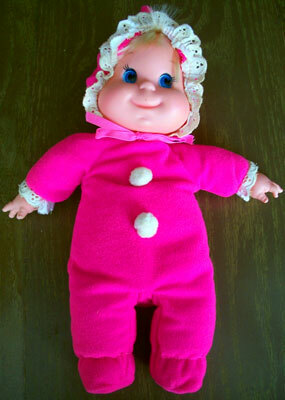 "Soft as a baby's bottom!" 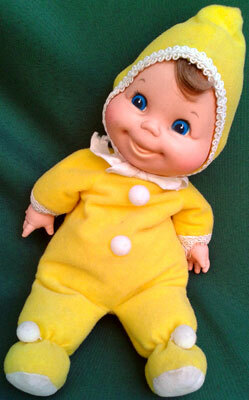 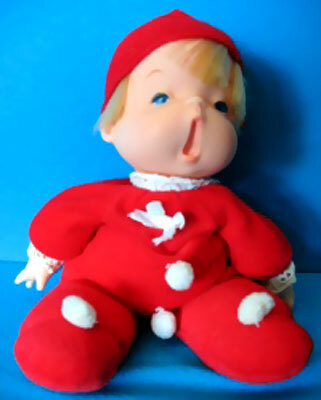 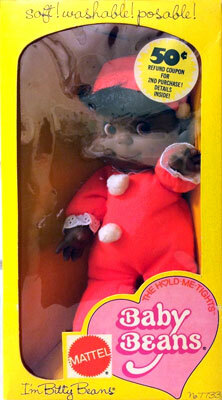 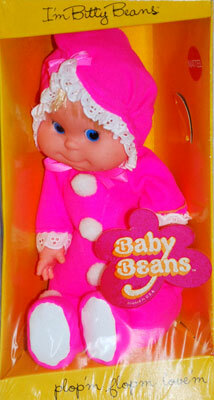 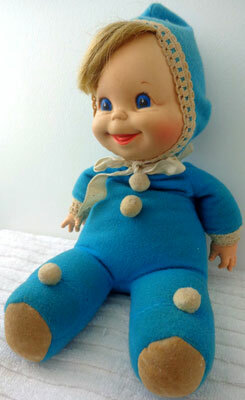 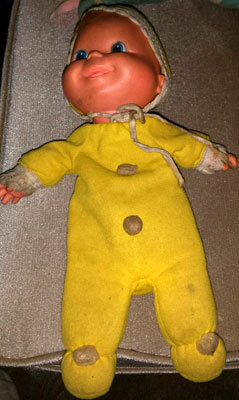 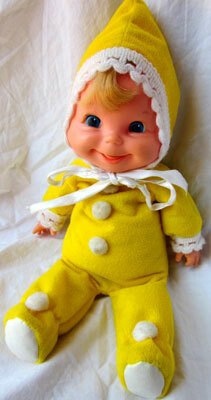 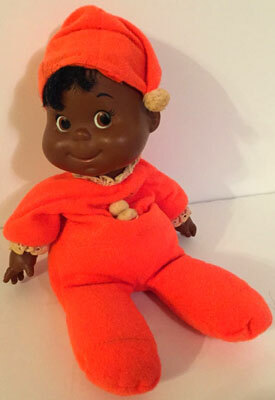 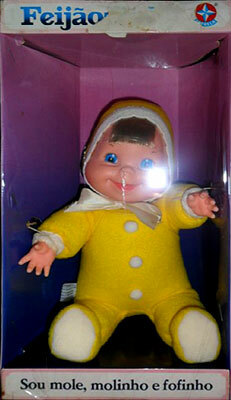 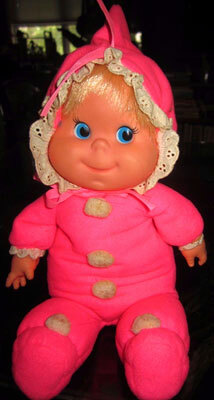 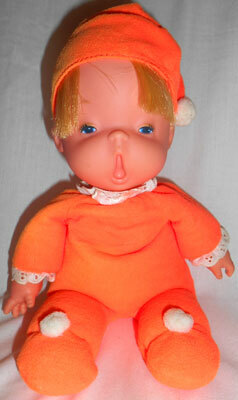 Baby Beans were produced by Mattel from 1970-1984. 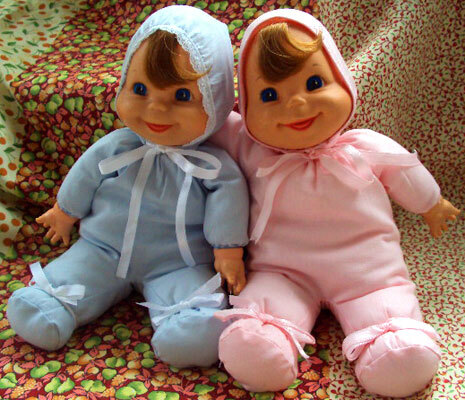 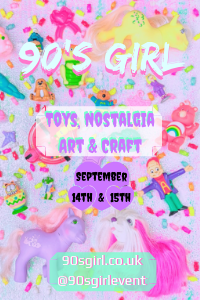 They were soft bodied baby dolls stuffed with polystyrene bean bag balls, and plastic heads. 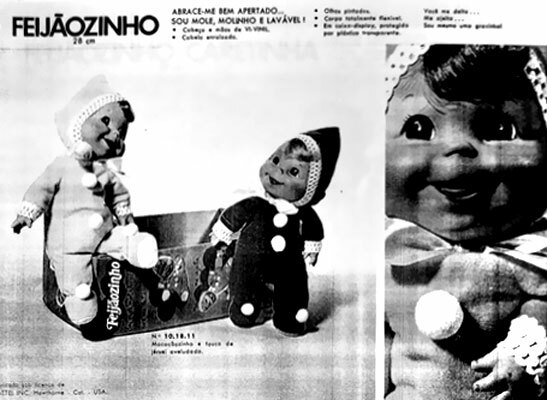 Meritus took over production from 1991-98 with their own line, and Estrela had their own concurrent line to Mattel in Brazil during the 1970-80's and again in 2011-12. 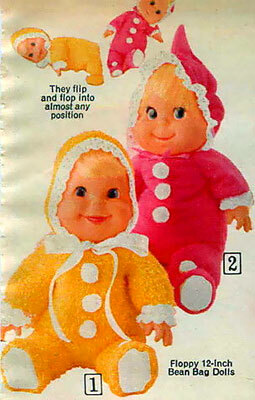 They were very popular, hence the sheer amount of them all over the world! 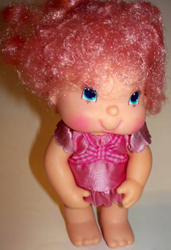 Meritus took over production from 1991-98 with their own line, and Estrela had their own concurrent line to Mattel in Brazil during the 1970-80's and again in 2011-12. 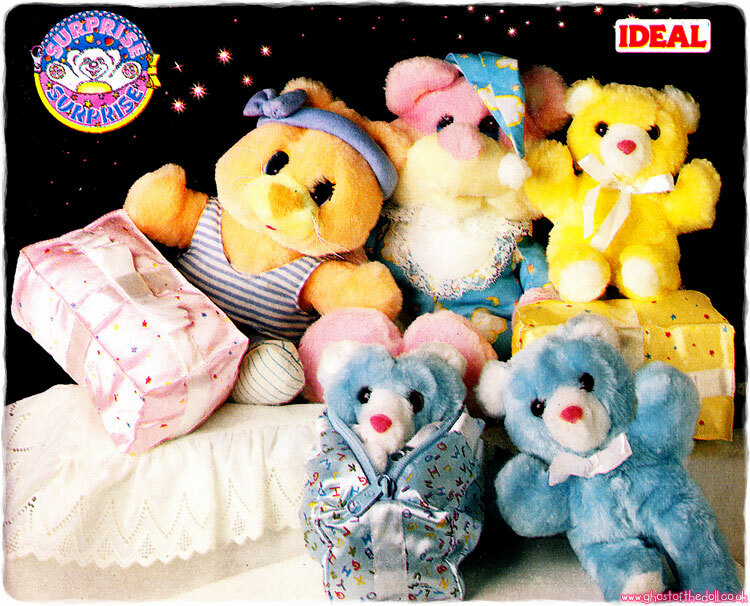 They were very popular, hence the sheer amount of them all over the world! 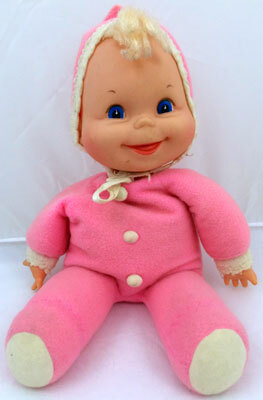 Images on this page thanks to Ana Caldatto, Etsy seller UncleJohnsBand, Flickr members Gisele Teresinha and Lina Santos de Luca, various Mercadolivre sellers, and eBay sellers BonniesVintageAttic , marxbouy , skgrassman , tampabaytoysandcollectibles , missikay68 , cljbanker1 , jillieanne , kadiddle3 , toy-addict , NostalgiaMama , wallyodd and bahapinar ! 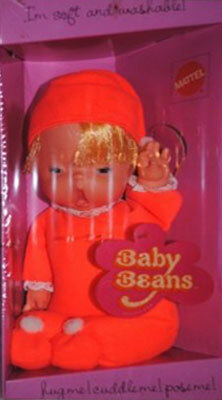 View all Baby Beans on eBay.com or eBay.co.uk ! 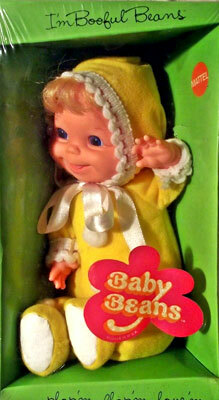 There were three original Baby Beans produced from 1970 onwards. 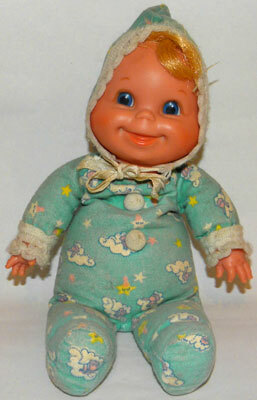 They measured about 12 inches tall and had plastic heads and hands. 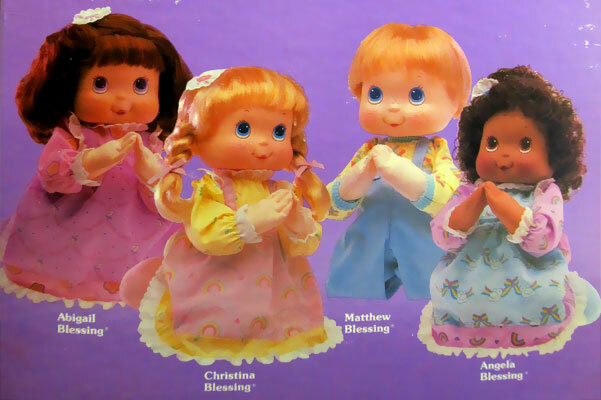 Of these three dolls, the yawning Besdie seems to have been the least desired as she didn't feature in any publicity images. 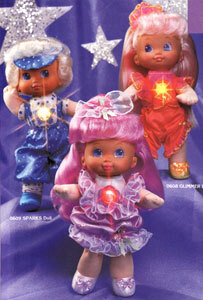 These dolls were also produced in Brazil by Estrela, and looked slighty different (see lower down). 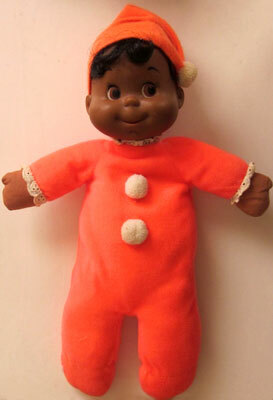 The left Bitty Beans looks just like her Bare Bottom version (fabric hands and two pompoms), but without the bare bum! 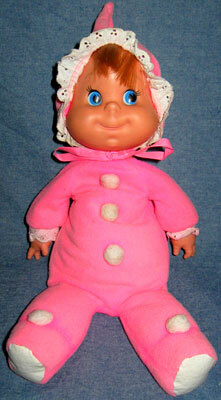 The right one also has two pompom but with plastic hands. 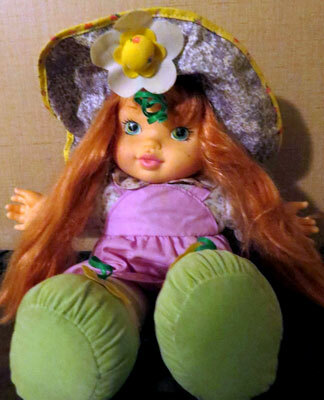 I've found two fabric variations of the blue doll, one had fluffy sheep on, and the other one was made using the talking doll's floral fabric. 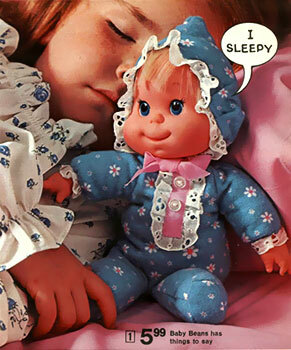 Both are quite rare. 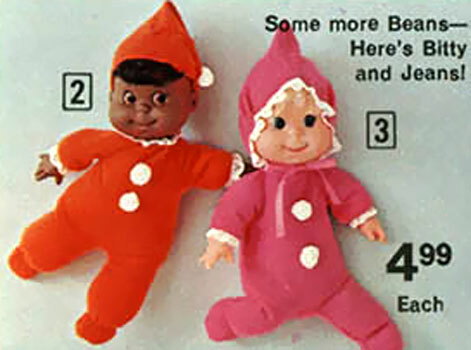 I've found two versions of Bedsie Beans, who is harder to find than Bitty and Booful. 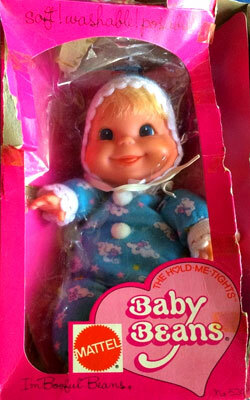 This packaging is copyright dated 1970. 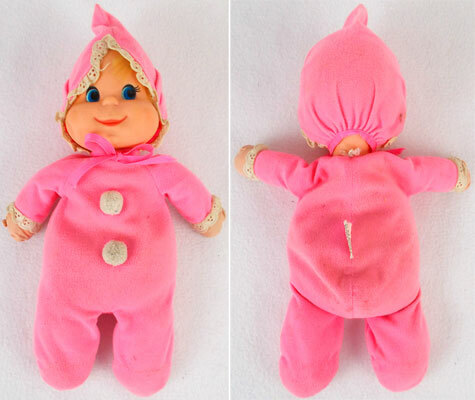 It uses a different logo, only seen used on one other doll so far (Cuddly Beans). 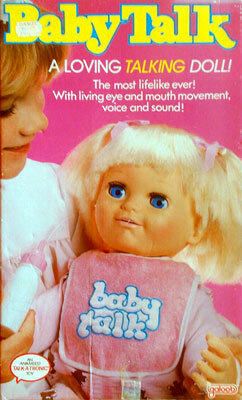 This packaging is copyright dated 1972/73. 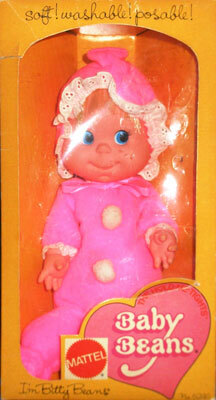 I've not found Bedsie in this packaging, so perhaps she wasn't produced after this time. 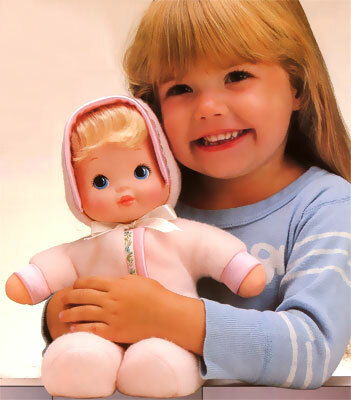 "I am soft, squishy and cuddly." 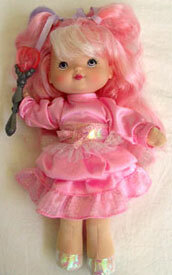 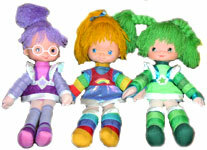 In Brazil, Estrela produced a large line of different dolls using the original doll heads. 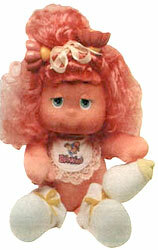 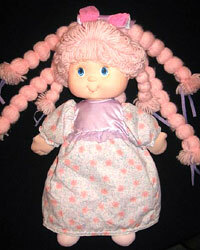 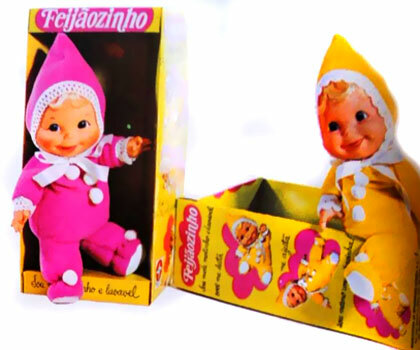 They also produced a version of the original dolls called "Feijãozinho" in pink, blue and yellow, all with Booful Bean's face. 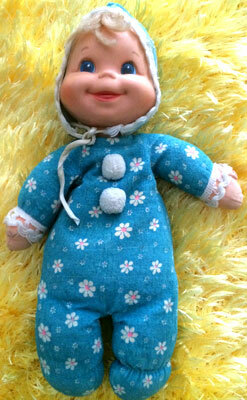 They were produced from 1974 and into the 80's, and the 80's versions each came wearing a necklace with "Estrela" on. 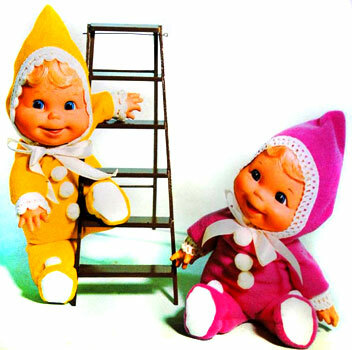 I don't know what their names were (if they had any). 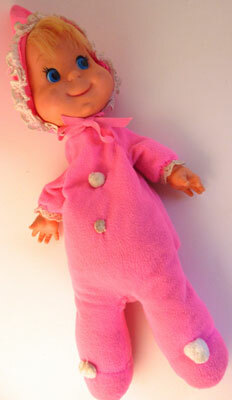 I've also found these two, which were described as newley produced (c.2012) but I can find no information on them.